Home / STORE / Easter & Spring. / Bumble Bees. 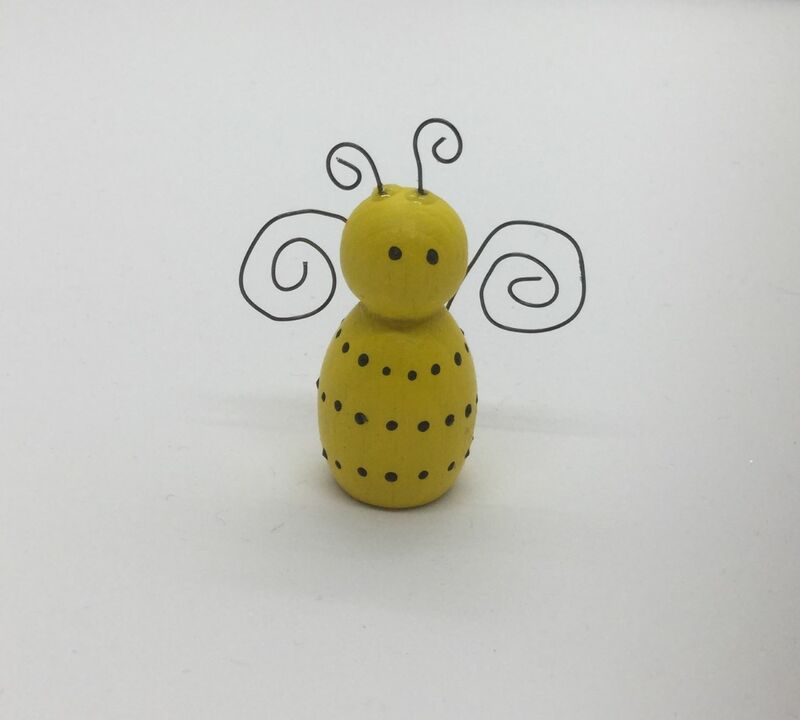 This cute little bumble bee helps the Nisse look after the forest flowers, as well as gathering honey for themselves and the Nisse. 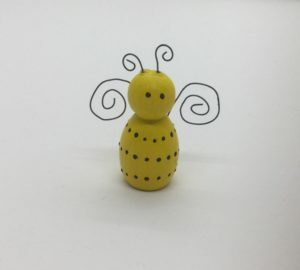 He is approximately approximately 40mm high, a yellow painted wooden body with black spotted / fluffy ring decoration. His wings are made of coiled wire as are his antenna.